(Web Desk) – A newlywed Kenyan couple unable to afford the expense of a wedding has earned plaudits on social media for pursuing marriage ceremony in $1.They attended wedding ceremony by wearing casual clothes. According to Bnews agency, Ann Wambui and Wilson Mutura delayed their wedding twice in 2016 because they failed to gather 300$ for marriage expenditures. They decided to get married this year in least expenses. The groom Wilson spent only 1$ to buy wedding ring. This couple is likely to join the Guinness Book of World Records after holding cheapest wedding in Kenya. 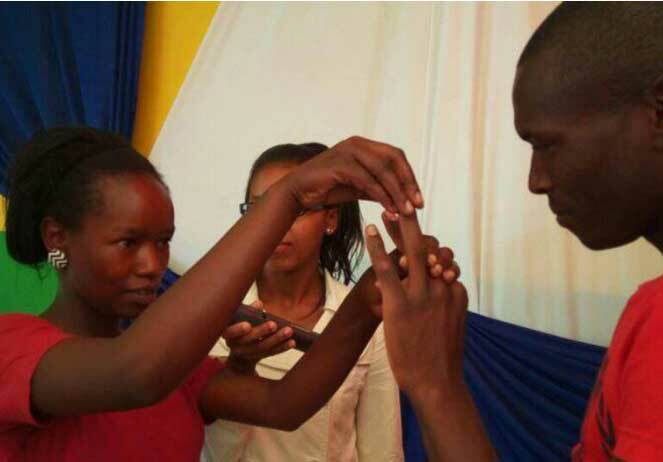 The romantic love story of Wilson, 27, and his bride, 24, have captured the interest of many Kenyans. Wilson said that we opted to have a low-key wedding ceremony without cakes, flowers or decoration. $1 Kenyan wedding couple breaks the internetThe couple is likely to join the Guinness Book of World Records.